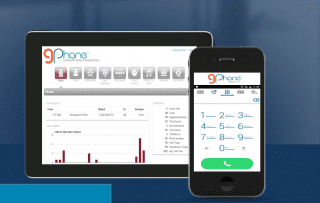 GlobalPhone specializes in offering users business level telecommunications services. In doing that, the provider offers a Hosted PBX solution, SIP Trunks, Phone Cards, and Fax Solutions. The Hosted PBX solution includes the standard host of features, (music-on-hold, hunt groups, auto attendant, etc. ); however, it is also simple, flexible, and cost efficient. Also, no contracts or long term commitments are required. With SIP Trunks, GlobalPhone uses devices from Asterisk, Tribox, and Fonality. It also supports traditional gateways. The solution itself includes a number of features such as inbound and outbound call routing, DID availability, 1000 free in/outbound minutes local/long distance, caller ID, and much more. Aside from solutions, the provider offers International Phone card options like Global, GlobalMobile, and Global Callback Calling cards. Lastly, the provider offers fax to email service for users. In terms of customer support, users can contact the provider via phone or email support. Hours of operation are 8am-8pm EST Monday through Friday, 9am-5pm EST Saturdays, and 11am-3pm EST Sundays. $40 for 5000 free minutes, etc. Overflow minutes billed at 1.5 cents for toll and 2.3 cents per toll free minute. Unlimited minutes US and Canada, including toll free. Toll Free and non toll free numbers. $10 Porting and setup fees apply. What Do You Think of GlobalPhone?